I am sure you will all agree that you can’t believe that 2018 is over and we have pushed right on into 2019. Where did 2018 go? It really was such an amazing year for myself, Amos and Yanek and I really can’t believe how quickly it went by. At the end of every year, I always take the time to sit down and review my 2018 year looking at my magical moments, accomplishments, challenges and lessons I have learnt. Based on this I then set my 2019 goals and get excited for the year ahead. I always think it is fun to look back on the year and remember just what has happened. And let me tell you, 2018 sure was a good one. Of course reviewing my year also means reviewing Amos’s year which is the best part and I’d love to share some of my moments with you. I dont know about you, but Instagram is a full time job and towards the end of 2018 I was really losing the drive to show up and be present with you all and engage with all my amazing followers. I was also pushed creatively and made the decision to take time off from all social media. Initially I had planned for one week but I had things I wanted to get done in that week. Like clean my house and do my 2018 review, the adult stuff. But then I got sick and ended up laying on the couch for a week so I chose to take another week off from social media to get everything done that I needed to get done. But I missed it. I missed seeing what all my dog and instagram friends were up to and creating. But it was good because it made me sit down and appreciate what I used the platform for and how best I can use it in 2019. 2018 was huge for me in terms of Instagram achievements. My 2 greatest moments were finally hitting 10k followers and also being featured on @dogsofinstagram. That may seem like nothing to some but I was so proud of it. I also received a short video clip feature of Amos jumping up at the hose on @thedodo which again was super cool. The main aim of my account is to spread Amos’s reach as far as I can so that I can share his life with as many people as possible and make them laugh and smile. I also want to promote rescue dogs and open peoples eyes to adoption and the joys in saving a life. 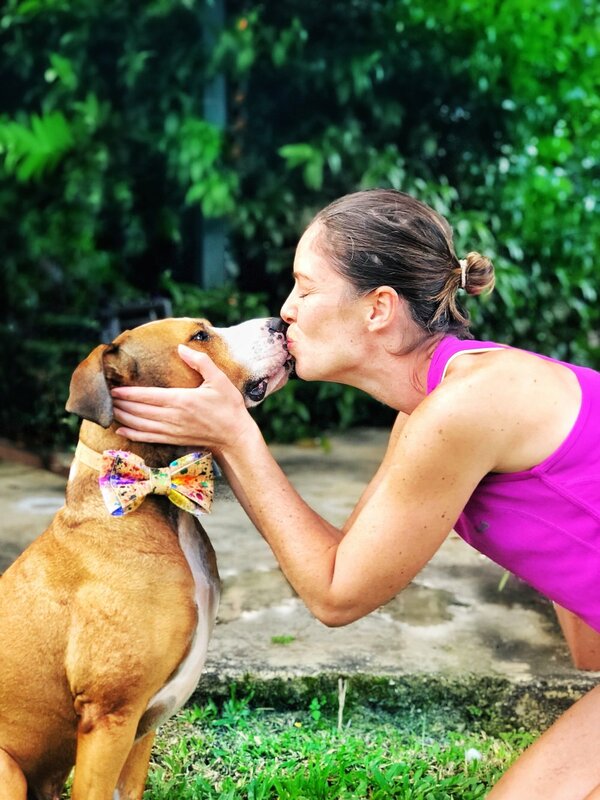 Looking towards 2019 I want to share more about me and the fact that you don’t always have to have loved dogs to be a dog mum. I also want to discuss more about my health and the role Amos plays. Upon looking through my year, I have noticed that I definitely spend way too much time on instagram and this is something I need to firmly look at this year. We all know we spend too much time on Instagram but I have to decide what is best for me. For those that don’t know, I have rheumatoid arthritis and my health is key. There is a lot of stuff that I need to do on a day to day basis to take care of me and sometimes that gets puts aside because I am on Instagram. So I need to find a way to do it all. Previously, I posted 5-6 times a week but recently I have been struggling to keep up with all the amazing comments you guys leave (which I love! ), check in on what my friends are doing, post and do my story, just explore and enjoy using the app and take care of myself. It is a lot to do. So I have decided to reduce my posts to 3-4 times a week. I will continue to do my story daily but I am hoping this frees up my time to enjoy using the platform, take the time to reply to your amazing comments and put myself and my health first. And of course continue having fun creating content. You may already know, but earlier this year I chose to start posting on a video platform called Tik Tok for fun and to improve my video content. It has been a learning experience but I have managed to somehow get myself 41.1k followers on there with a few fan pages being set up for me. It is rather flattering and I must say I am enjoying the challenge. I love trying the challenges that are on there and I usually share them to my story so you can all see them. A typical example, is me growing a dog and playing a fake instrument! If you haven’t checked it out and you want to have some fun with video content, come on over and check it out! We are amospearce on there too. I also started my blog and without realising, I managed to publish 12 blogs!! I can’t believe it. This was a huge achievement for me as writing does not come naturally to me. So a huge thank you to everyone that has read my blogs. It really does mean a lot to me that you click the link from Instagram and come on over. And thank you to those reading this blog! I intend to blog more this year and look forward to sharing more with you all. Starting the year off with this blog! 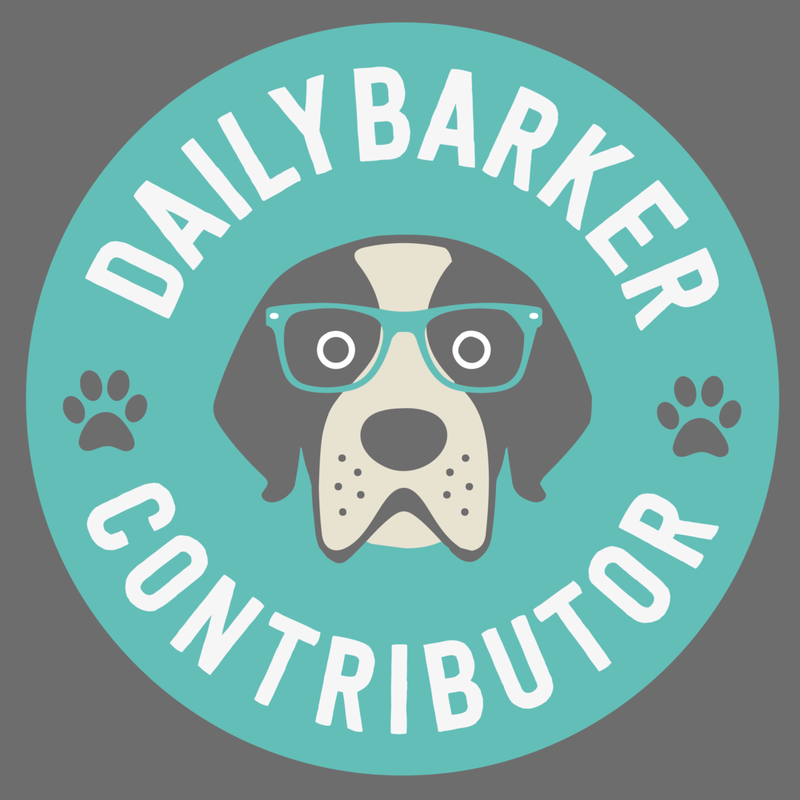 I also was invited to be a guest blog contributor on Daily Barker so every 1-2 months you will see a post from me on there. I am so excited to continue blogging with Daily Barker in 2019 and improving my writing and share more with you all. 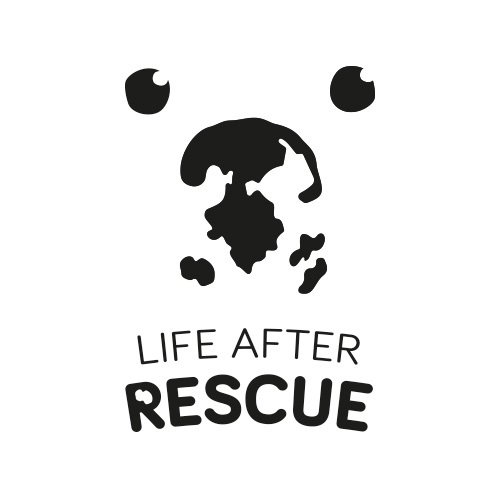 We also finalised the design on the logo based on Amos’s nose and managed to sell 27 hats raising $135 for RSPCA Queensland so thank you so much to everyone who has purchased a hat to date. Note : I have not yet donated the money to RSPCA as I am hoping to sell all of the hats and make one big donation. We will be looking into shirts this year as well so stay tuned for exciting times. As a whole, 2018 has been absolutely amazing and I hope you enjoyed reading my little review of 2018. I am really trying to blog more and put more of my thoughts down on my blog and share it with you all. I can’t wait to see what 2019 has in stall for me and all of my friends. So tell me, what did you love most about 2018 and is there anything you want to change heading into 2019?